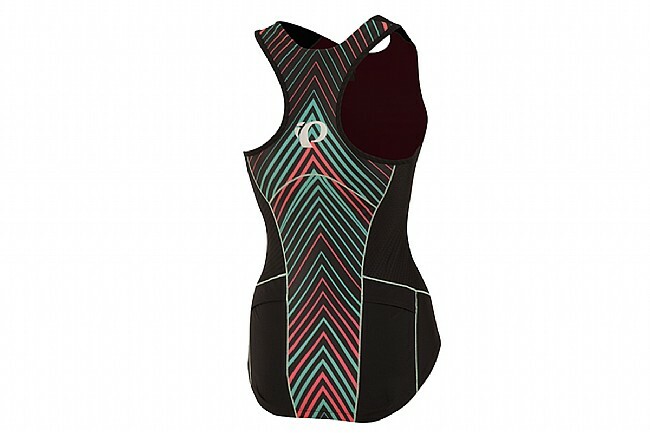 The Women's Elite Pursuit Tri Tank features ELITE Transfer Aero and ELITE Transfer In-R-Cool fabrics®. 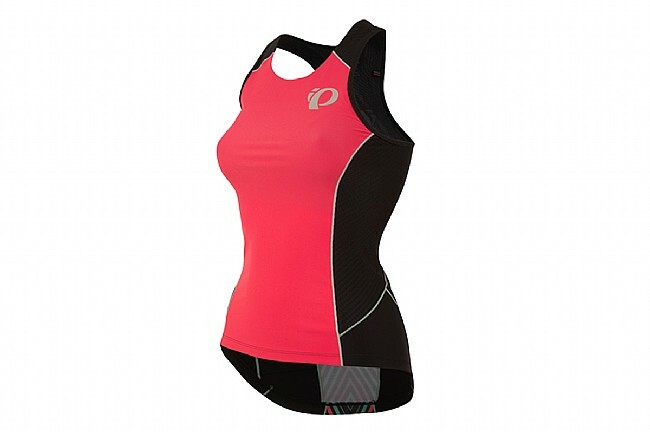 Together, these fabrics provide moisture wicking, compression, aerodynamic benefit, and UPF 50+. Merrow stitch construction delivers a smooth next-to-skin feel and counteracts chafing. 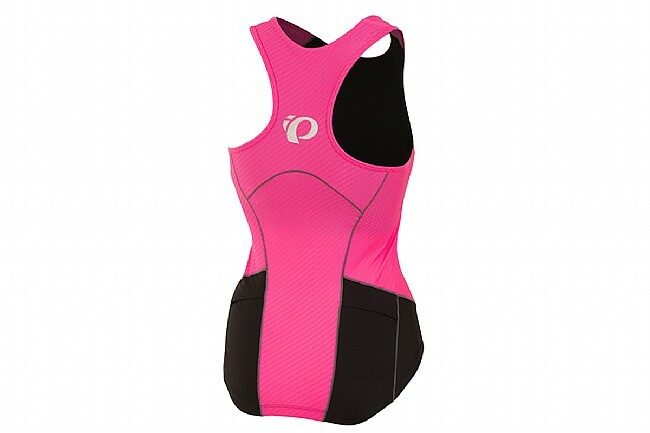 The built-in shelf bra offers additional support to A-B cup athletes. UV protection: Yes, UPF 50+. Pockets: Yes, 2 on back. Fabric(s): ELITE Transfer In-R-Cool® & Aero fabrics (Nylon, LYCRA® spandex, Polyester, Elastane).